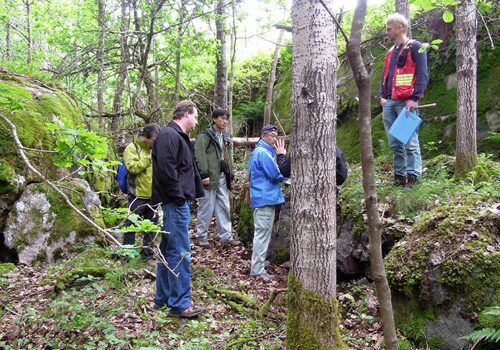 Leading Edge Materials is the 100% owner of the Norra Kärr rare earth element (REE) deposit. Norra Kärr is one of the world’s principal heavy REE resources, with an unusual enrichment in the most critical REEs: dysprosium (Dy), terbium (Tb) and yttrium (Y). 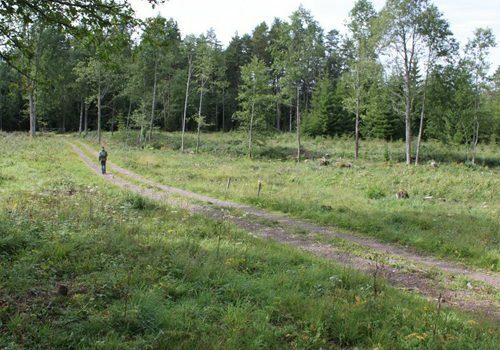 Located in southern Sweden approximately 300km SW of Stockholm, Norra Kärr is the only heavy REE deposit of note within the European Union and provides the EU with the long term capacity to be independent of REE imports. In addition to REEs, Norra Kärr has the capacity to be a major supplier of hafnium (Hf), zirconium (Zr) and the industrial mineral nepheline. Development of the project will remove the EU’s need to import Chinese REE’s that are produced under environmentally & socially unsustainable conditions. The extensive existing infrastructure means REE production can be done with the lowest possible impact on the environment and with a low carbon footprint. Due to the high grades of heavy REEs, independence for the EU can be gained with an annual mining rate of less than 2% of Sweden’s largest operating mine. Norra Kärr is surrounded by nearby infrastructure, services, electricity, supplies and skilled labour. 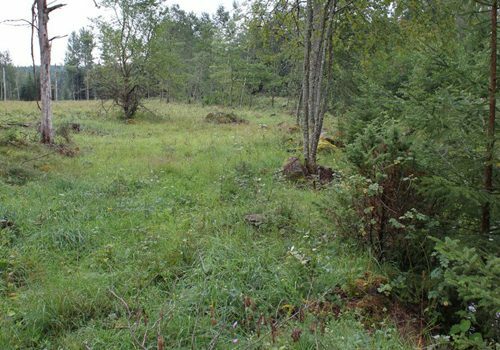 The Norra Kärr peralkaline (agpaitic) nepheline-syenite intrusive complex is located in south central Sweden. The intrusion has been dated at 1,489 ± 8Ma, and intrudes older gneiss and granite of the Trans-Scandinavian Igneous Belt (dated at 1.81 – 1.76Ga) along a long-lived north trending regional fault. The intrusion covers an area some 450m x 1,500m in size, beginning below a thin soil cover and exceeding depth of drilling at 350m. The Norra Kärr intrusion is enriched in zirconium (Zr), heavy REE’s, yttrium (Y), niobium (Nb) and hafnium (Hf) resulting in the presence of minerals that are uncommon on a global scale. 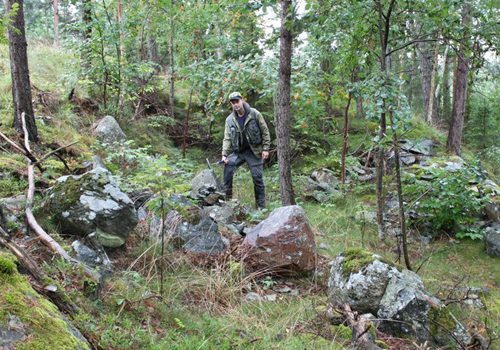 Mineralogical studies show nearly all of the REE in Norra Kärr is found within the mineral eudialyte, with only trace britholite and mosandrite. 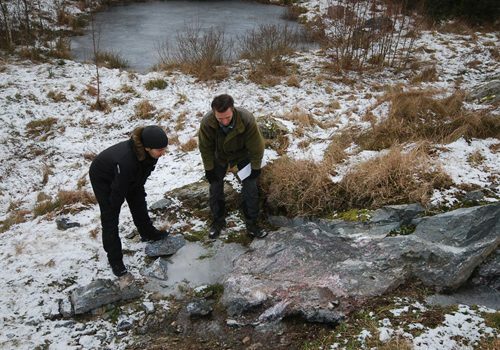 Eudialyte at Norra Kärr is relatively rich in REEs compared to most other similar deposits globally, and also contains a very high proportion of high value heavy REEs. REE grade, mineral grain size and heavy REE/total REE% varies only slightly across the deposit in a concentric manner. 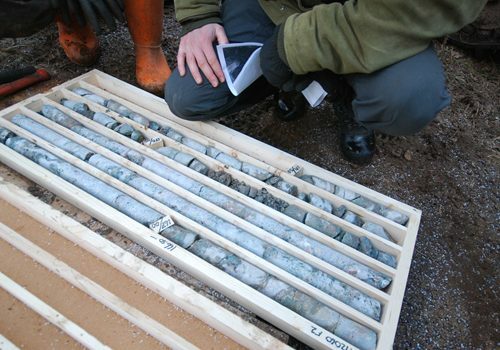 The Norra Kärr deposit is one of the world’s largest heavy REE resources, with the capacity to supply all of Europe’s heavy REE requirements for more than 20 years. Under a PFS published January 2015, the Mineral Resource has been optimized to allow production of 5,000 tonnes per year of separated REO (rare earth oxide) over a constrained mine life of 20 years. 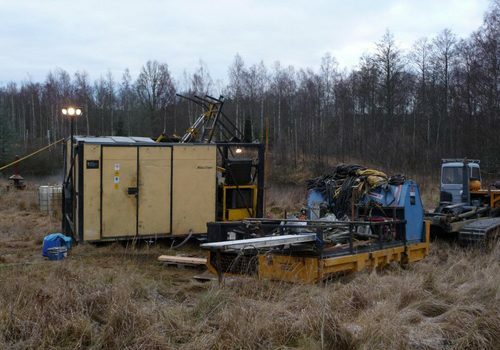 This production rate was chosen due to the globally significant output of dysprosium (approximately 15% of current demand), yttrium and terbium from Norra Kärr under this scenario. See tables 1 and 2 for Mineral Resource and Reserve estimates, and table 3 for REE distribution. The Norra Kärr deposit has an unusually high percentage of the heavy and critical rare earths in its REE distribution, with a heavy REE/total REE ratio of 53%. This high % means capital and operating expenditure is directed toward high value critical metals (Dy, Tb, Y, Nd, Lu) not the over-supplied markets of Ce and La. 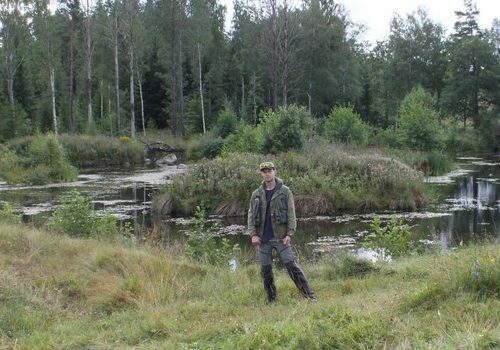 Norra Kärr has the highest HREE ratio of the large REE deposits. Extensive metallurgical testwork has been completed on representative samples from Norra Kärr. 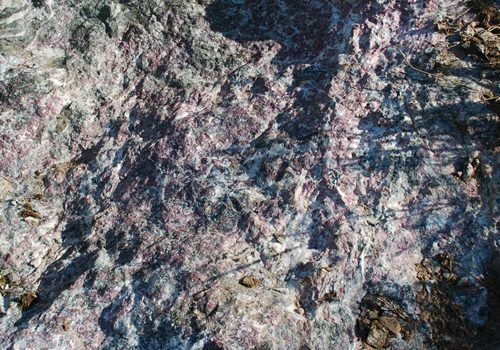 Mineralogy has shown that the only REE-bearing mineral with significant abundance at Norra Kärr is the zirconosilicate eudialyte. Eudialyte is weakly magnetic (paramagnetic) and dissolves rapidly in weak acid at low temperature. As a result, an uncomplicated flow sheet (see Figure 1) has been developed that can be achieved with standard mining/processing equipment and widely available chemicals. Ore is processed via a simple flowsheet, comprising crushing, grinding, magnetic separation, sulphuric acid leaching and precipitation of a purified mixed REE-oxalate which is calcined to form a mixed REO product. 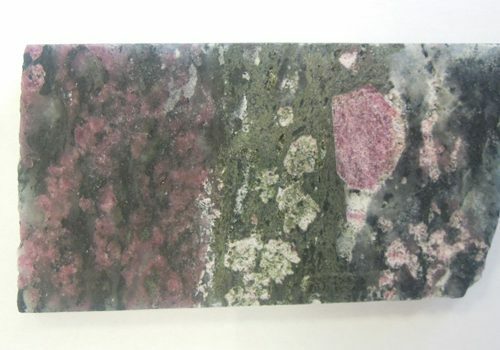 Eudialyte beneficiates efficiently using Metso’s HGMS magnetic separation equipment, providing a clean and high recovery eudialyte-rich mineral concentrate. Beneficiation recovery higher than 90% is now anticipated and targeted. 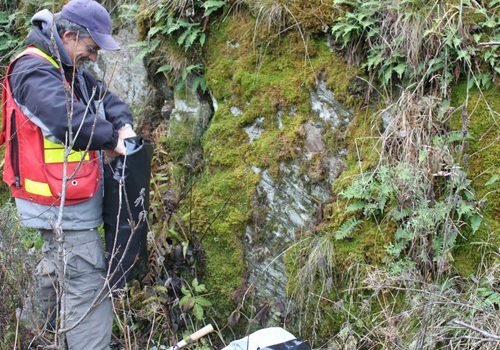 Hydrometallurgical research has been completed by ANSTO Minerals in Australia. 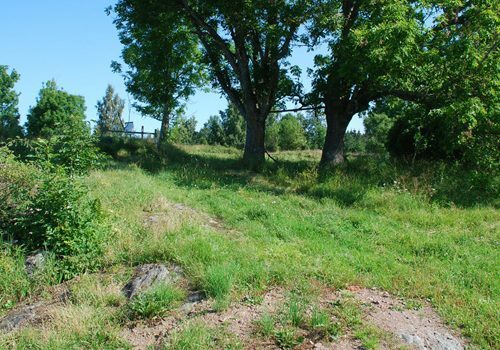 Sulphuric acid was chosen due to its low cost and widespread availability in Sweden. Leaching is undertaken at ambient temperature and pressure – high temperature roasting is not required. Sulphuric acid consumption per tonne of ore has fallen to only 85 kg/tonne. A heavy REE enriched, low impurity oxalate has been precipitated by ANSTO with a grade of approximately 45% REE. This oxalate can be easily calcined to a high grade REE-oxide subject to customer requirements. 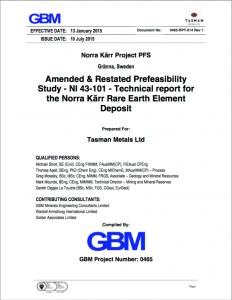 In March 2015, Tasman published a comprehensive Pre-Feasibility Study (PFS) for the Norra Kärr project. The project now stands out as one of very few advanced heavy REE projects globally, and the only one that can produce more than 200 tonnes per year of dysprosium oxide for more than 20 years with a capital investment of less than US$400 million. PFS conclusions are supported by very extensive drilling, sampling, process testwork and REE consumer discussions. The PFS is a complete study, addressing in addition to mining and processing, all required on site and off site infrastructure, land access, reagent and fuel transport and storage, power access, water recycling and purification, waste rock and tailings storage, and final closure. Engineering work focused on applying the lowest risk process solutions using commercially available technology. The PFS and economic assessment is based on conventional open pit mining at an average annual rate of 1.18 million tonnes and a grade of 0.59% total REO, constrained to provide for a 20-year mine life. Ore is processed via a simple flowsheet, comprising crushing, grinding, magnetic separation, sulphuric acid leaching and precipitation of a purified mixed REE-oxalate which is calcined to form a mixed rare earth oxide product. An average annual REO output of 5,120 tonnes is forecast, reflecting the recommendations of a market study for the most critical REE’s. The PFS model provides for REE separation to individual saleable oxides by an external partner on a commercial basis. Such REE separation facilities operate within Europe today. Based on current prices, 23% by volume and 74% by value of the REE output shall be supplied to the permanent magnet industry. Dysprosium, which is consumed in high temperature magnets in the automotive, wind energy and engineering sectors is the largest revenue contributor at 42%. The Norra Kärr project has the lowest construction capital requirements among its peers of large/long mine-life heavy REE projects, due to the projects unique ability to leverage existing infrastructure (road, rail and power), and the presence of a nearby supplier of sulphuric acid. Tasman’s on-site operating costs to produce a mixed REE-oxalate of US$20.69/kg are mid-range within the heavy REE peer group. Refining costs, to pay for the separation of mixed REE product into individual metals has been assumed to cost of US$19/kg, being at the higher end of the peer group assumption, though toll separation charges are higher for heavy REE than light REE. Assuming a 10% discount rate, the after-tax NPV is US$313 million. The after-tax IRR is 20% with a 4.9 year payback period. Financial information is provided in Tables 4 to 6. Norra Kärr’s unique location in Europe surrounded by well-developed infrastructure and in close proximity to the large European population, along with the very clean character of the rock allows the supply of bulk by-product materials to be considered. Leading Edge Materials presents a clear, industrially relevant and low risk business model to be a leader in the expanding western REE industry. 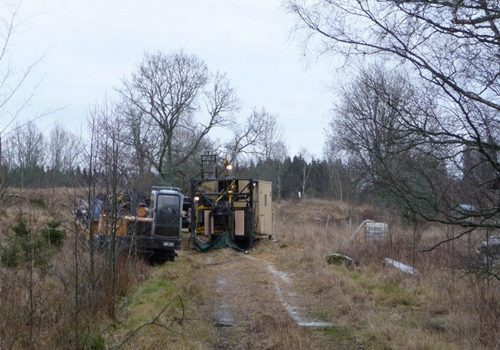 The flagship Norra Kärr deposit will be a major producer of the most critical REE’s, and is the only project that can produce more than 200tpa of Dy oxide for more than 20 years with low start-up capital expenditure. With European customers on the doorstep, and daily driving access to the deepest and most intact REE industry outside of China, Leading Edge Materials has the capacity to be a long term, secure and sustainable REE supplier. A technical report supporting the PFS is available in its entirety, on the SEDAR website at www.sedar.com or the Company’s website at www.tasmanmetals.com. The PFS was prepared by GBM under the guidance of Michael Short, Principal Consultant for GBM who is a “Qualified Person” in accordance with NI 43-101. The Mineral Resource and Mineral Reserve estimates were completed by Wardell Armstrong International Limited under the supervision of Greg Moseley and Mark Mounde, who are both “Qualified Persons” in accordance with NI 43-101. The process for the integrated processing plant for the PFS was completed by GBM under the supervision of Thomas Apelt who is a “Qualified Person” in accordance with NI 43-101. The infrastructure design and cost estimation for the PFS was completed by GBM under the supervision of Michael Short who is a “Qualified Person” in accordance with NI 43-101. 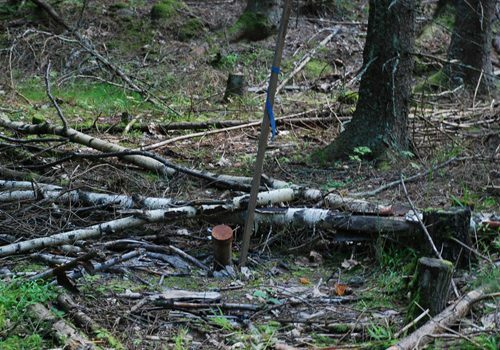 The environmental and social section and the permitting review for the PFS was completed by Golder Associate Oy under the supervision of Gareth Digges La Touche who is a “Qualified Person” in accordance with NI 43-101. Leading Edge Materials was formed in August 2016 via the merger of Tasman Metals Ltd with Flinders Resources Ltd. The Boards of the two companies recognised the synergies of the enterprises, and the benefits gained by bringing together two teams focussed on critical raw materials. Please sign up to our free press release. We never share your email address. As a Qualified Person, Mark Saxon, Director of Leading Edge Materials Corp and Fellow of the Australasian Institute of Mining Metallurgy has reviewed and verified the contents of this website. © 2018 Leading Edge Materials Corp. All Rights Reserved.